State-of-the-art cinema experience with 7 screens and Sony Dynamic Digital Sound.Cineplex is the largest motion picture exhibitor in Canada and owns - leases or has a joint-venture interest in 130 theatres with 1 - 352 screens serving approximately 70 million guests annually. 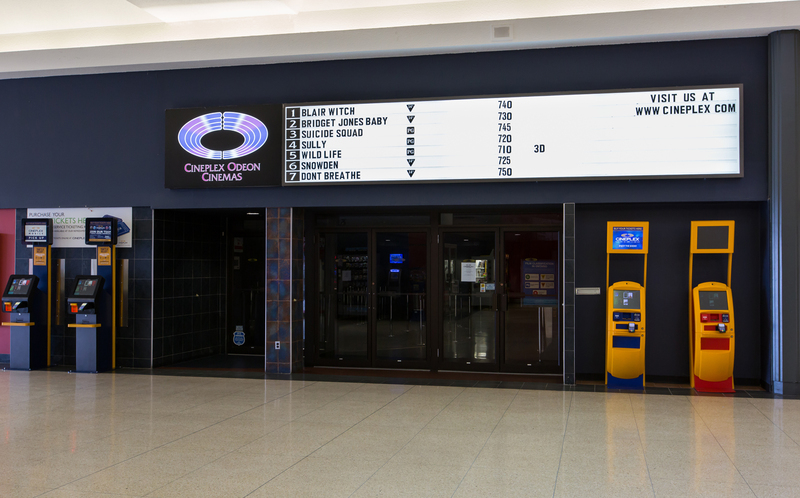 Headquartered in Toronto - Canada - Cineplex operates theatres from British Columbia to Quebec and is the exclusive provider of UltraAVX and the largest exhibitor of digital - 3D and IMAX projection technologies in the country. Proudly Canadian and with a workforce of approximately 10 - 000 employees - the company operates the following top tier brands: Cineplex Odeon - Galaxy - Famous Players - Colossus - Coliseum - SilverCity - Cinema City and Scotiabank Theatres.